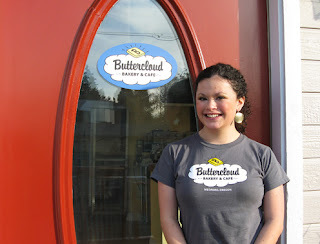 Buttercloud Bakery and Cafe: Welcome Tiffany! Your continued support has caused us to call in for backup! Please join us in welcoming Tiffany to our staff. She started last Wednesday and has been a tremendous help. With the addition of one more person we hope to make your experience at Buttercloud even more excellent!